The Lewis and Clark of the sound spectrum, Animal Collective’s psych-folk noise-rock agenda brings even the harshest critics to their knees. 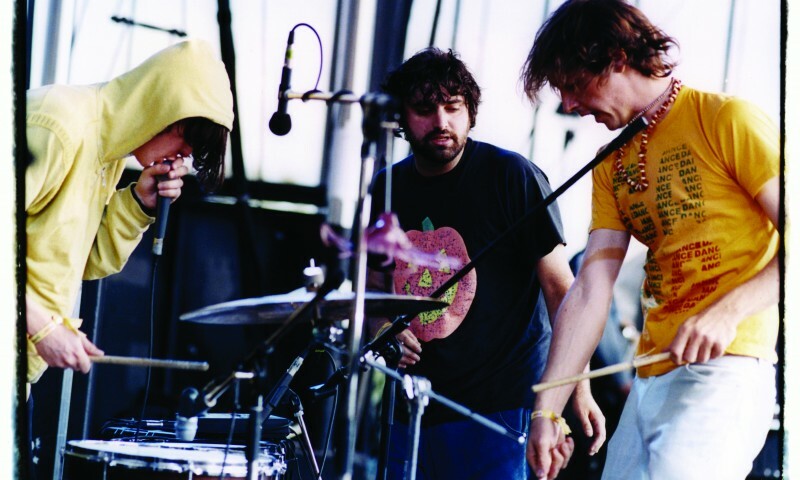 With the group’s roots reaching back to the second grade, Animal Collective’s long and varied existence is an important clue to how the group can work with unique sounds and ideas that are intensely intimidating to even the most seasoned musicians, and create palatable avant-garde compositions. 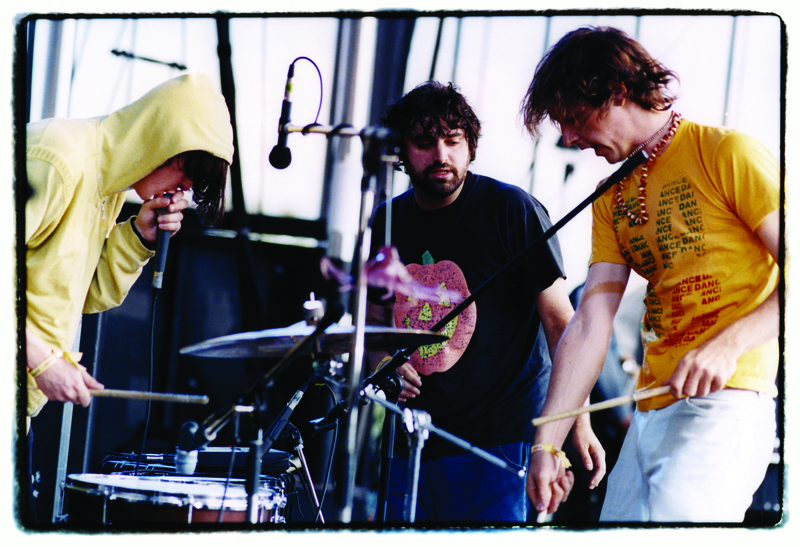 Animal Collective’s four members, Avey Tare, Geologist, Panda Bear, and Deakin, have been working as a group since 2000, producing albums under a variety of monikers and with different combinations of members. Far removed from the “rock star” persona, Animal Collective strips the idea of the individual from the music; each album becomes its own entity, rather than a projection of each individual—with all of the members operating under different names depending upon the current project. In addition, not every affiliate of Animal Collective is involved in every performance or recording—and each member also performs in their own solo projects and collaborations with outside musicians. It is this flexibility that allows Animal Collective’s consistent delivery of characteristically unique material that is as much of an experiment as it is a reality. Walking around the bitter cold New York’s lower east side, Animal Collective’s Deakin (aka Josh Dibbs) took time to talk to SLUG about Animal Collective, and the organic loose structure of their music and members. SLUG: What is your role? what do you bring to the table as a member of Animal Collective? Deakin: Main instrumentation in the band is guitar, and as far as songwriting goes, my relationship with Dave [Avey Tare] goes far back. He does a lot of initial composing. I work on the harmonic elements and filling out the musical parts of the songs. We became friends through writing music, and this connection goes back to when we were kids. No one ever really writes a complete song and shows it to the group, but presents a loose idea; it’s then worked on by everyone. SLUG: It sounds like the Animal Collective songs are organic in nature. Deakin: We try to keep the sound organic as much as possible, although the meaning of organic changes throughout time for us. For example, during the Danse Manatee and Here Comes the Indian era the song structures were intentionally [unconstrained]; they were created with marked points and changes, but the songs had looser qualities than they do now. SLUG: So how does the group approach and rehearse these loose songs and ideas? SLUG: Do you ever record live? Deakin: Live performances and the studio are very different things. When we play live, what we are performing is a lot more of our focus. In the studio, we have the chance to hone every sound and make it what we want. SLUG: Animal Collective has wide array of different sounds going on, I imagine the studio helps you isolate and capture the full spectrum of sound. Deakin: Yes, even being able to EQ individual tracks makes a huge difference. Lately, a couple of bands have been asking us for recording help, and I find myself in the position of the older, experienced dad figure. It makes me think back to what we have been doing and what we are doing now. I have been recording my own music since I was 13—at least it was the first time I recorded multi track and tried to mix it. For the first few Animal Collective albums, we recorded everything ourselves and now everything is so intuitive. At this point I know enough about what I want that I feel collaborative with the studio and I don’t feel that I have to look to them to get the sound I need; I can feel comfortable telling them exactly the sound I need. Animal Collective will play Salt Lake on May 22 at In the Venue with Sir Richard Bishop.